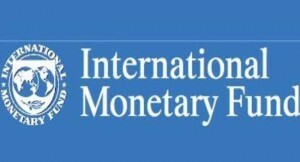 The International Monetary Fund (IMF) says the global economic growth noticed since 2016 is likely to continue in 2017 and 2018. The IMF Economic Counsellor and Director of Research, Maurice Obstfeld, said this on Tuesday at an event to flag-off the Spring Meetings of the World Bank and IMF in Washington D.C.
For Sub-Saharan Africa, the economic growth outlook by the IMF is seen coming behind the rate of population increase on the continent. Mr Obstfeld noted that it requires contribution from both advanced and emerging countries around the world to sustain economic growth. He added that the projected 3.5 per cent for 2017 and 3.6 per cent for 2018 are subjected to a number of challenges in key economies like the United States and China. The economist called for united multi-lateral actions to address issues of nationalism, so as to protect foreign workers and improve trade.